1st glass window cleaning can bring your driveway back to life using a high power industrial pressure washer. This pressure washer is far more powerful than the normal electric style of washers you buy for washing your car. We have a dedicated van just for this service. Are you looking for a professional fascia and soffit cleaning company in Thatcham, Newbury to give your residential or commercial premises a clean? Are your fascia boards and soffits looking dirty and unwelcoming to visitors? At 1st Glass Window Cleaning we provide fascia and soffit cleaning to all types of customers in and around the Newbury area. We are a local external cleaning company based in Thatcham. 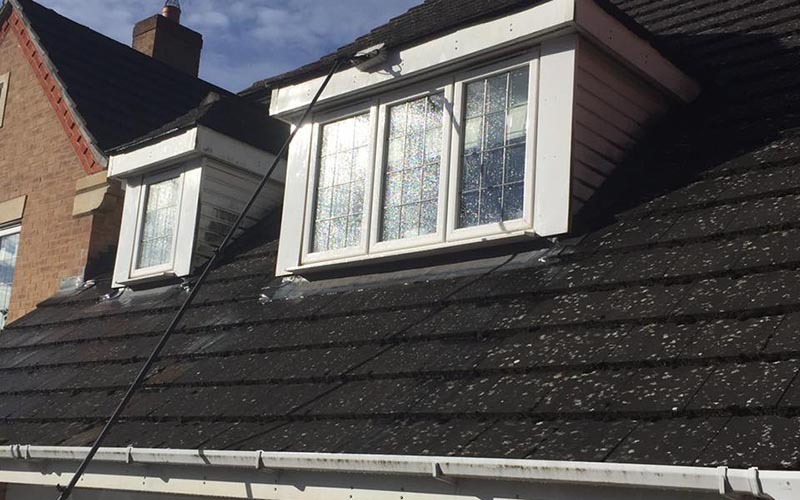 At 1st Glass Window Cleaning we provide a reasonably priced fascia and soffit cleaning service in as well as a wide range of other external cleaning services, including gutter cleaning and window cleaning. Our local customers have trusted us to clean and maintain their properties for years and we have an excellent reputation for providing a first-rate service to both residential and commercial customers. We are proud of our local reputation in offering a safe and environmentally compliant cleaning service and we always carry out our fascia and soffit cleaning with the upmost quality and care. Keeping your fascia & soffit’s clean can help avoid costly repairs and damage to your roof. 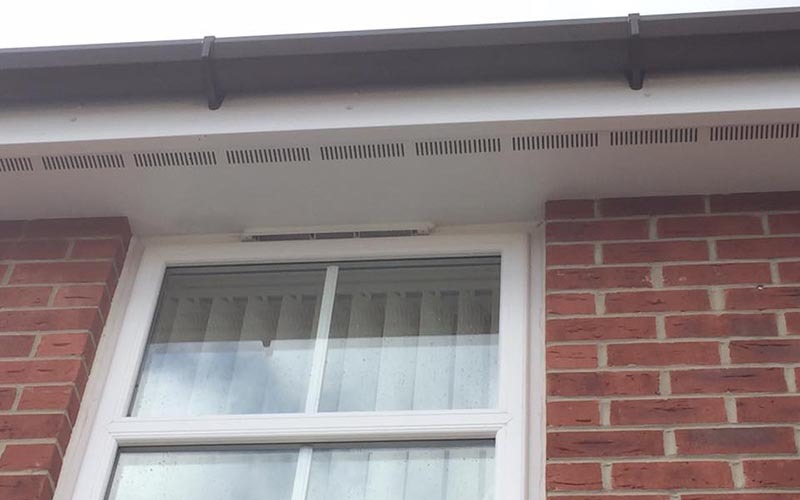 We recommend that you have your fascia and soffit cleaning done twice a year to keep them in good order, which in turn will help avoid any extensive damage to your property and any costly repairs and maintenance. No matter if you are looking to have your fascia’s & soffits regularly maintained or if you would like a one-off clean to bring them back to that new looking condition, we can offer you the services you need at an affordable price. Our fascia and soffit cleaning prices are competitive and you will always get the highest of standards from us. Problems arising from leaking or overflowing gutters due to blocked guttering are another cause for concern and can cause damp issues with your building as water runs down the exterior walls to your property. We are able to unblock, clear and clean your gutters whilst cleaning your fascia’s and soffits. We are able to look right into your guttering from the ground level using a remote viewer, enabling us to make sure we have completely cleared and cleaned them using our high reach vacuum system. With the information you supply us, we are able to provide our customers with an accurate fixed price for fascia, soffit & gutter cleaning, giving you peace of mind from the start. Our fascia and soffit cleaning charges are competitive in our area and we offer great value for money. The price we quote you is the price you will pay and there are no other hidden charges. Your fascia’s & soffits are an important part of your home and as such, should be kept in good order and be maintained on a regular basis. 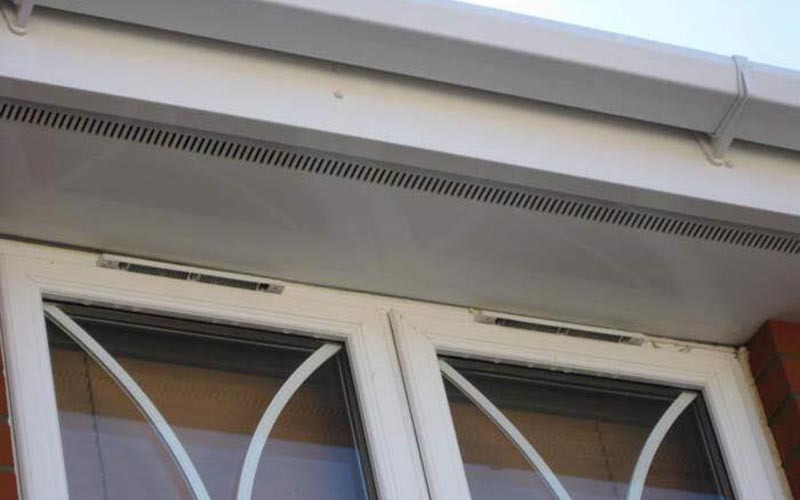 Lots of properties these days have UPVC fascia’s and they may only require minimal maintenance but they still need to be cleaned to keep their new looking appearance. Keeping your fascia and soffits regularly cleaned gives your property ‘kerb appeal’ and helps make your commercial or residential property look more appealing from the street. This can be useful if you are looking to rent or sell your home to prospective tenant or buyers, or if you have customers regularly visiting your business.